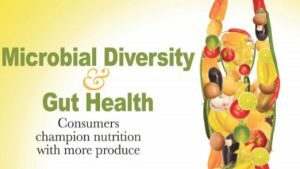 Scientists know there is a relationship between nutrition and the microbiota, and that microbiota composition affects health, either positively or negatively. Researchers are seeking ways to identify the mechanisms at work to better understand these links and develop new ways to approach disease management. Gut microbiata may be the key to developing personalized or precision medicine. 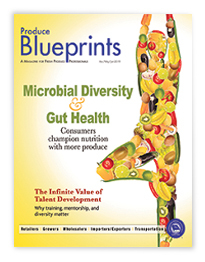 In the meantime, the food industry—and produce suppliers and marketers in particular—have much to gain by connecting fruits and vegetables with gut health and healthy living. Chris Ciruli, chief operating officer of Ciruli Brothers, LLC in Nogales, AZ, also sees continuing education programs for produce managers and outreach to retail dietitians as important in promoting the value of fresh produce on gut health. To him, the overarching message is simple: You truly are what you eat.